Advances in commercial wireless enable Army mobile tactical internet. Our adversaries possess increasingly sophisticated communications and information technology (IT), allowing them to leverage advanced wireless technology and smartphones while actively moving in ground vehicles. They are also able to execute cyber and electronic warfare attacks in tactical settings that can cause substantial, intermittent and lasting damage to U.S. defense forces’ ability to communicate. U.S. forces continue to advance their tactical networks to counter these emerging threats, enable new forms of maneuver and maintain integration with military IT services available stateside—all while taking advantage of rapid innovation from the commercial IT industry. Specific to network modernization, communicating securely with command-and-control and other units within the increasingly communications-reliant battlefront landscape is critical to ensure the success of the mission and the safety of warfighters. However, as the battlefield evolves and missions require units to be mobile and support myriad tactical capabilities (Wi-Fi, LTE [Long Term Evolution, a standard for high-speed wireless communication for mobile devices and data terminals], etc. ), critical communications infrastructures are becoming more difficult to establish and maintain. Additionally, innovations in the cloud, “internet of things,” sensors, robotic and autonomous systems, analytics, artificial intelligence and deep learning are driving tactical network developers to consider deploying warfighting systems that are highly reliant on high-performance computing and storage. Yet, in the face of potentially degraded communications, those resources may only be available if deployed all the way out to the individual warfighter or small teams conducting operations in austere and hostile environments, such as forward operating bases or combat vehicles—locations known as the tactical network’s edge. Four capabilities that enable DOD and warfighters to modernize their tactical networks and maintain overmatch through communication and IT are command post mobility, secure wireless communications, cybersecurity and edge computing. Advances in mobility and secure wireless enable DOD and warfighters to quickly relocate command posts in theater and give commanders more flexibility and options to maneuver. Edge computing enables warfighters to gain access to data and software previously available only at large data centers—including access to cloud services even when wide area network (WAN) access is down. Tactical cybersecurity solutions are increasingly important for warfighters, especially in light of increasing cyberattacks on our tactical networks. U.S. Army and Marine Corps tactical networking and command post programs widely acknowledge the critical need to improve mobility. The current state of the art for tent-based command posts requires hours of setup, including thousands of feet of copper wiring, which delays network availability and results in a dangerous lack of situational awareness for commanders. Currently, troops who jump from one location to another typically do so in phases, with tent infrastructure, generators, network servers and satellite links going up first, followed by the running of cables to provide the local area network command post support. This process translates into long delays in availability of critical information services, which, in turn, can lead to increased vulnerability of people and their systems. Defensive postures of the past applied to a much more stationary battlefield environment. It was simply assumed that communications would be limited as warfighters moved from position to position. But technology advances by adversaries demand that our warfighters have the same secure communications experience while on-the-move as they do at-the-halt. At the same time, communications solutions must be delivered in a smaller form factor—whether to fit on the back of a Soldier or in a High Mobility Multipurpose Wheeled Vehicle. And the fight does not stop just because you are moving. This is why defense forces need networking on-the-move capabilities. On-the-move means communications components that are smaller, ruggedized to adapt to mobility over any terrain, and reliable in the face of unanticipated conditions such as poor power sources and extreme temperatures. In other words, situational awareness cannot wait until troops establish an at-the-halt position. Entering a dynamic tactical environment “blind” puts warfighters at a significant disadvantage, which can lead to loss of life and mission failure. There is a need to ensure that transportation vehicles and aircraft operators can communicate directly with a warfighter’s headset—and vice versa—while en route to the destination. True mobility demands innovation and modernization designed to reduce size, weight and power requirements. 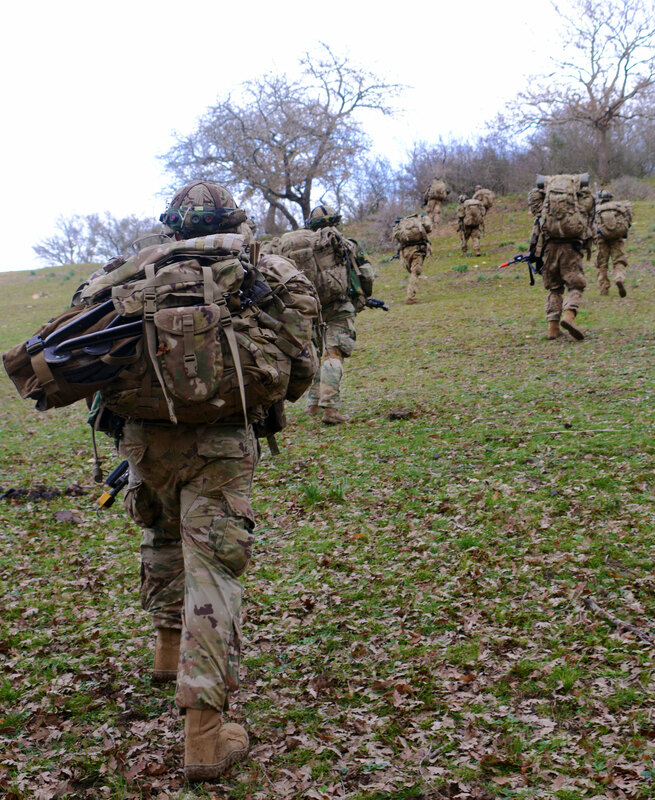 Not only do dismounted Soldiers need mobility, but so does the network infrastructure to support them. All else being equal, communications equipment can never be too small, too light or too power-efficient. In contrast to legacy data-center-style, rack-mounted equipment, new generations of equipment designed for tactical and expeditionary use are becoming available with enterprise-grade networking and security technologies. The DOD shift from wired to wireless battlefield and in-theater communications has been slowed by warfighters’ not being able to securely transmit classified information over wireless networks. Without the confidence to share classified data securely, warfighters lose situational awareness relative to adversaries who can move faster and accept more security risk. This is particularly problematic when it comes to how defense units have historically operated in tactical environments. While it was possible in the past for warfighters to use Wi-Fi, LTE and other radio types to transmit classified data, it was prohibitively expensive and required both ends of the connection to be staffed with Soldiers cleared to take possession of classified cryptographic hardware. As a result, wireless Internet Protocol networking was primarily limited to site-to-site, WAN communications, and warfighters did not have the ability to use mobile devices for classified warfighting operations. To enable mobility for warfighting, the National Security Agency established a program called Commercial Solutions for Classified. This program enables DOD organizations to transmit classified information using commercial-grade encryption solutions, eliminating the need for expensive, difficult-to-use classified equipment. A new class of deployable small wireless access systems is bringing the benefits of classified wireless access to warfighters in the field, allowing warfighters to use commercial smartphones, tablets and laptops to access classified information over Wi-Fi and LTE. Cyber has emerged as a new warfighting domain, and DOD is considering cyber at the same level as traditional land, sea and air warfighting domains. Limited visibility into cyberthreats—Cybersecurity technologies of yesterday are too large and expensive to deploy, leaving tactical networks ill-equipped with the mobility and scalability needed in a cyber warfighting environment. Without the right technologies in place, Soldiers’ views into the threat landscape can be restricted and even at times inaccurate, as real-time situational awareness of cyberthreats is impaired. Shortage of cybersecurity skills in tactical settings—A response to cybersecurity threats on the battlefield must come in real time, as the difference between waiting hours and days versus seconds and minutes to respond could have dire consequences. Yet, the shortage of cyber specialists readily deployed and available in tactical environments makes real-time response difficult if not impossible. And even for tactical operators in the field, maintaining multiple systems can be overwhelming. More vulnerability at the tactical networks—The electronic footprints of current tactical networks are often easy to discover, and the closeness of adversaries in battlefield environments makes it easier for communications to be intercepted, which is all the more heightened given how tactical networks are traditionally dispersed. Internal and external cyberthreats at the edge of the network challenge DOD when it comes to rapid detection and response. Innovations in the internet of things, sensors, analytics and artificial intelligence promise entirely new warfighting capabilities, serving as force multipliers and enabling new levels of situational awareness. New robotic and autonomous systems promise to reduce the number of warfighters in harm’s way, while speeding our ability to project force on the battlefront. Situational awareness, mission command and command-and-control applications. Signal and image data gathering and analytics workloads. Emerging internet of things and sensor fusion-based applications. Cybersecurity and virtual desktop infrastructure solutions. Additionally, as DOD enterprise IT moves to the cloud, tactical networks must unify access to data and applications from the enterprise level to the tactical edge. 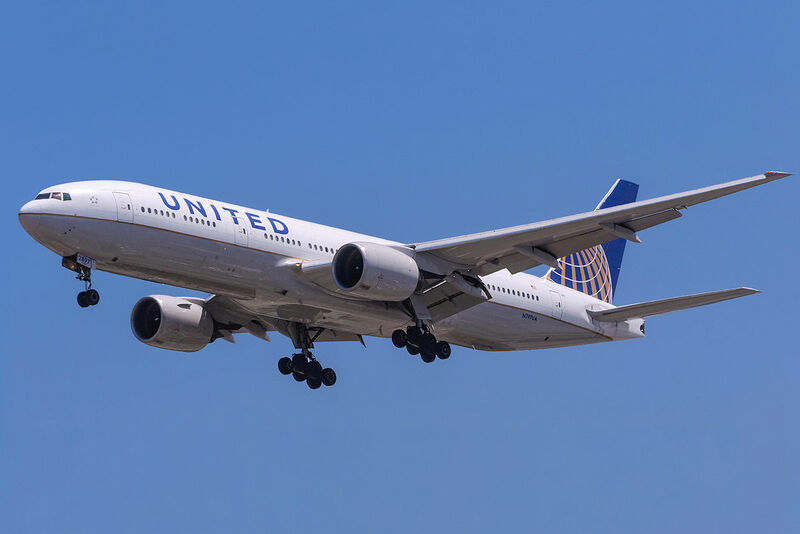 This means deploying cloudlike services at the tactical edge of the network, so that data is available at the edge even when WAN connectivity is unavailable. At the same time, the internet of battlefield things is raising the table stakes significantly when it comes to the volume and complexity of devices and sensors in tactical environments that can be compromised. From wearables on the troops themselves to connected tanks, helicopters and drones, interconnectivity through the internet of things is only an advantage as long as it is secure, trusted and available. A new class of modular, tactical data centers is becoming available for tactical and expeditionary programs, capable of hosting cloud and storage, artificial intelligence and analytics applications. Using ultra-small form-factor modules for computer, storage and networking functions that reduce size, weight and power requirements, these systems can be deployed dismounted, at forward operating bases, in command posts, and on ground vehicles and aircraft—supporting a diverse array of use cases in disconnected, intermittent and limited environments. U.S. forces are taking advantage of commercial IT advances to maintain overmatch, reduce costs and ultimately modernize their tactical networks in order to stay one step ahead of increasingly well-equipped adversaries. 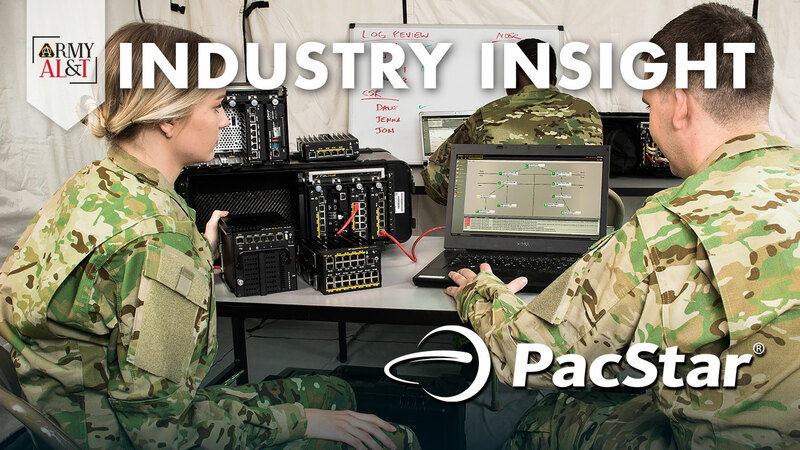 For more information about new IT technologies transforming the battlefield, go to www.pacstar.com. CHARLIE KAWASAKI, Certified Information Systems Security Professional, joined PacStar in early 2005. He is the chief technical officer, leading numerous innovation programs and developing tactical solutions for secure wireless, cybersecurity and data center applications. He is part of the PacStar team that recently won the networking equipment awards for both the U.S. Army Transportable Tactical Command Communications and U.S. Marine Corps Networking-On-The-Move vehicle-mount and deployable tactical communications programs. He has more than 35 years’ experience in cybersecurity, software and network engineering, and systems integration. He serves on the board of the Technology Association of Oregon, is vice chair of the Oregon Cybersecurity Advisory Council (www.cyberoregon.com), and is co-founder of Northwest Cyber Camp (www.nwcyber.camp).